And not only Seiko, but also every watch brand that continues to disrespect dealer, customer, and market value with irresponsible distribution practices. That’s right, we said it. The topic that other watch bloggers are scared to touch for fear that these whore-brands won’t send them any more freebies to write about. 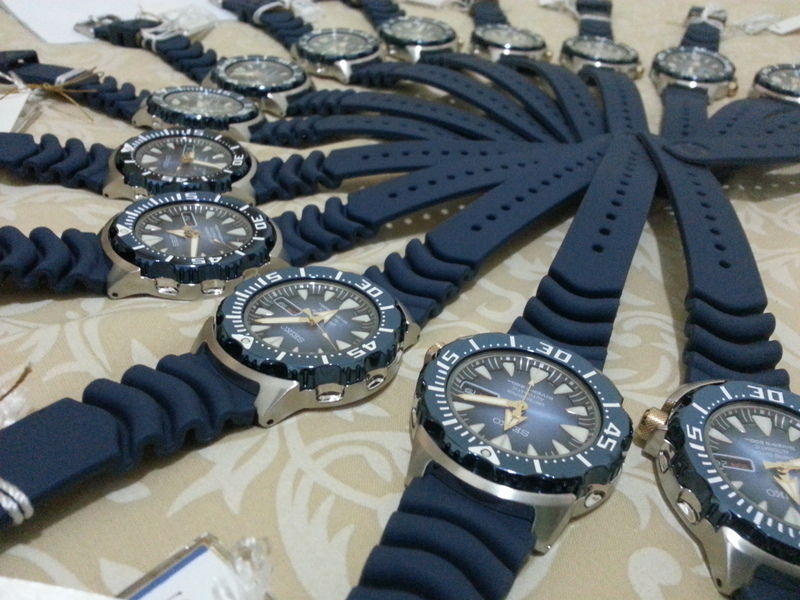 Seiko is one such whore-brand. The Japanese manufacturer recently released two watches to mark their 100th year of watchmaking. The new generation Blue Monster and the Blue Baby Tuna. Both with remarkable dials and gold accents. 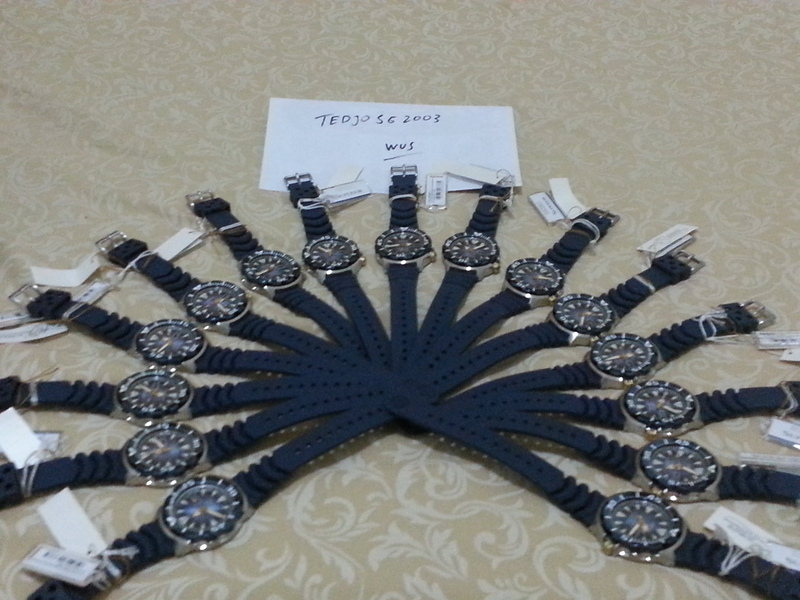 These watches retail for $495 (Monster) and $550 (Tuna) respectively. For those of you who know, these limited edition watches just came out. Most Seiko dealers placed orders for these limited edition pieces around the time of Baselworld last spring. The dealers’ cost would have been 50% of the retail price. So, in the example of the Baby Tuna, dealers pay $275 with hope that they would be able to sell the watch and make a profit. Companies do not buy products to sell at a lower cost than they paid. That would be charity, not business. Maybe they break even in some cases, but certainly wouldn’t want to take a loss. 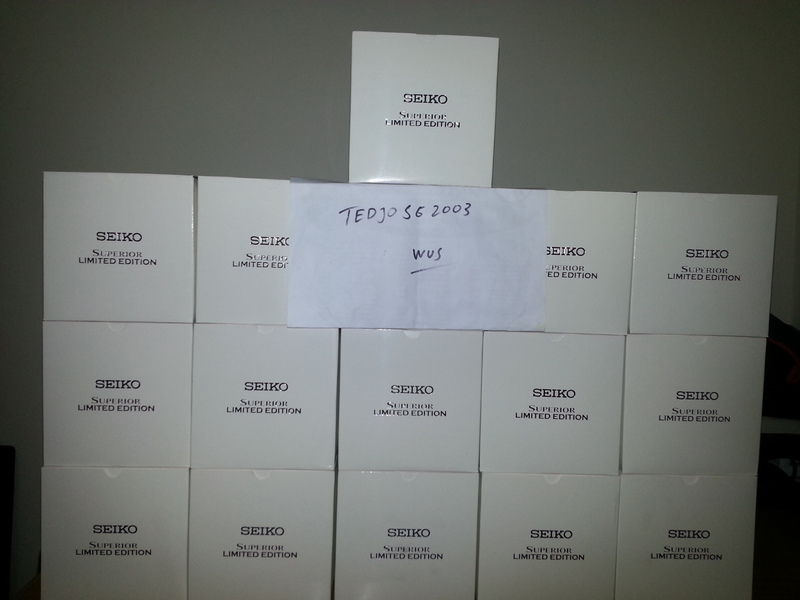 So how is it that Seiko watches are being sold for less than authorized dealers are paying? It means that Seiko is either whoring out watches at a lower price than they invoice their loyal dealers, or they are allowing distributors to get away with whoring out watches at less than dealer cost. Distributors in general pay about 50% (or less) of what a dealer would pay. So their price on a Baby Tuna would be $137 (or less). Keeping in mind that they also have the power of moving large quantities at once. Making $30/watch in one high volume sale is easier than making $150 per watch over a longer span of time. Plus it looks good for them to move a lot of watches quickly. It screws up the market and flip-ability. Watch brands like Seiko have a responsibility to customers and dealers (and shareholders if there are any) to protect the value of the brand. That’s why MAP (minimum advertised price) exists. It prevents dealers from advertising a sale price for less than the limit set by the manufacturer – usually within 10-20% depending on the brand. The most respectable brands (ie: Rolex) do not allow any flexibility on advertised prices and force dealers to maintain retail pricing. This also protects your watch’s resale value. Imagine trying to flip your $475+tax Baby Tuna a week after you got it… you would have to sell it for less than $235+free shipping because forum trolls would reference the new one they saw online for that price. Pay less for brands that do not value themselves. Any other whore-brands that you know of? Talk about them in the comments below! Luminox lol. Definitely a whore watch brand. Good read. You are right, Luminox is on par with Seiko in this regard. The worst of all is Invicta. Whiny. You ought to expect such price fluctuations on the mid-lower end models of a highly mass-produced watch. If you like the watch that much, buy it, and don’t be a weenie about it if someone else gets a better deal. if you’re looking for a watch to flip, be savvier in your purchasing. Man, who pissed in your Wheaties? It is the responsibility of the consumer to do their research before they buy a watch. NOBODY, and I mean nobody, has a right to get pissed off they found it cheaper online after they bought it in a store. Why do you think the internet crushes brick and mortar stores? They don’t have to tack on their overhead. They can stock watches in the closet of their bedroom of their mom’s basement and tack on very little overhead to their cost of the watch. Having buyer’s remorse that you bought something before you did your research on it is not the same as a brand like Invicta who advertises an MSRP of thousands of dollars on a crappy quartz watch that is more suitable as a boat anchor than a dive watch. Rolex is the biggest whore of them all anyway. I don’t care if their watches are assembled by virgin mermaids and their crystals are actually hardened unicorn tears…. There is no way there is no way there is $15,000 worth of engineering on a Submariner. Getting raped for $1000 for service anytime it needs it is lots of fun too. But I guess elitist watch snobs enjoy that kind of thing. You vilify Seiko for not regulating the cost of their watches, but if doing that means they have to sell ten thousand dollar watches, then I say let the buyer do their own research. This is why I NEVER buy a brand new watch. It’s just like a new car. The value tanks as soon as you buy it. If I paid $400 for a Seiko and then saw one a month old being sold on a forum for half as much, yeah, I’d be pissed too. So I just hold out and buy ‘last year’s model’ and just look like a pleb to the Rolex wearing world. But my watch collection is actually something I could liquidate for dang near what I paid for it. And that is including the brands in there like Breitling and Omega that I also bought used from ADs on Chrono24 for much less than it would have been to buy them new.